Hard landscaping refers to landscaping done in areas with little access to soil, such as urban centers, large corporate centers, and residential complexes. For homeowners, hard landscaping may be landscaping done on and around patios, sidewalks, and other artificial structures. Many typical landscaping options are not available in hard landscaping scenarios because of the restricted access to soil. As for the boundary between earth-based softscapes and artificial hard landscapes, retaining walls are often necessary to resist the lateral pressure of the earth. 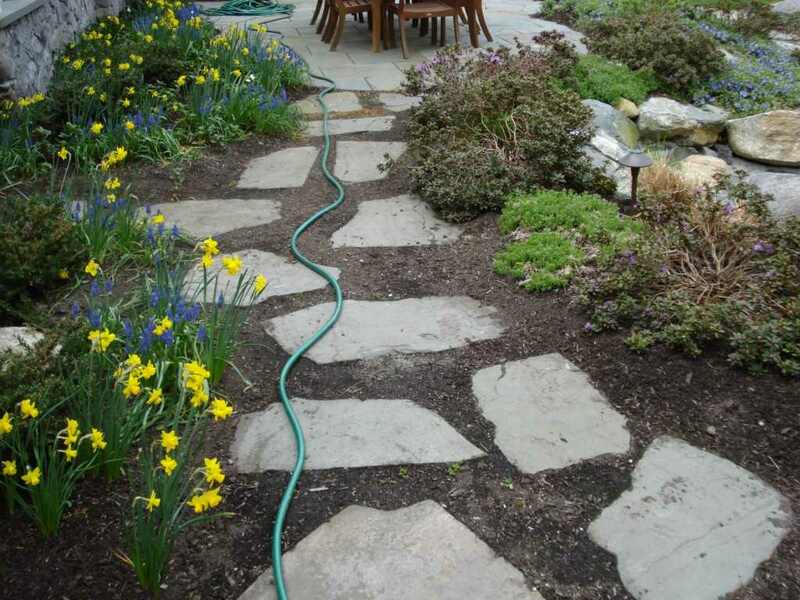 Hard landscaping decisions around the home often begin with studies about the local soil. This is because a paved driveway, patio, or walking path is subject to earth shifts and natural waterways. Homeowners are encouraged to find as much information about their soil as possible to aid in the hard landscaping construction process. Culverts may be necessary to divert water flow, while retaining walls can be used to keep encroaching slopes at bay. Data about water retention and available drainage is also especially helpful. This can be very important in determining what kind of special reinforcing structures (such as rebar) are needed to craft high-traffic walkways and driveways that will not crack over time. There are many rustic choices as well, if homeowners would like to explore their options beyond asphalt and concrete. 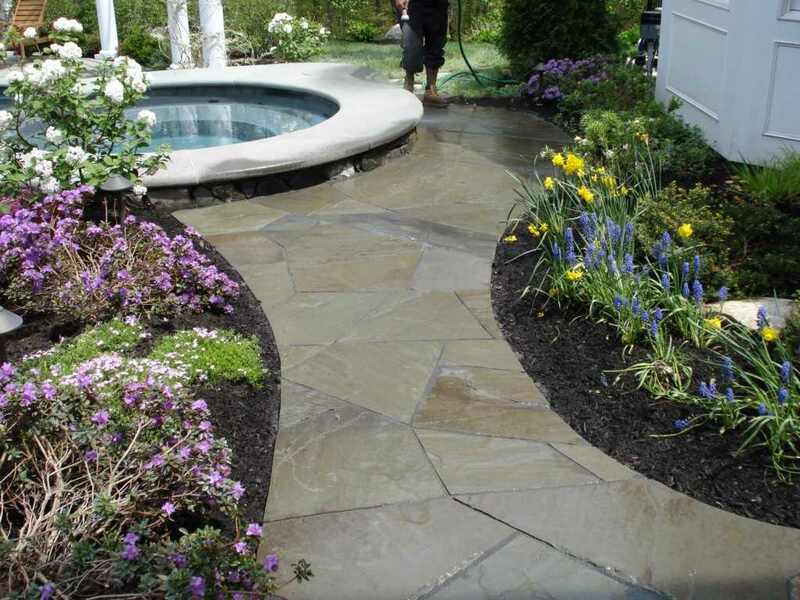 Brick or cobblestone walkways are perfect for flower gardens and backyard barbecue pits. Stone tile is available in several thicknesses, shapes, and designs. Several varieties of composite materials may also be used if the walkways are to be particularly well-traveled. These composite materials (e.g. laminate-based flooring) may offer increased resistance to natural weathering as well. For some, the purchase of a home or property will be the biggest investment they will make in their lifetimes. This being said, investing in the exterior landscape is one of the best investments you can make for your property. A well-designed and maintained landscape adds a tremendous amount of curb appeal and shows a pride in ownership unlike anything else. Take a scenic drive through the back roads of New England and you will inevitably spot some of the 240,000 miles of stone walls built by 19th-century farmers trying to mark and separate their land. You may not have acres and acres of farm land to mark off. But your own patio and flower beds are still deserving of a border, or maybe a wall that doubles as a place to sit down will make your landscape all the more enjoyable. First we determine the size and scope of the project, enabling you to get an accurate estimate before any work is started. Each material has advantages and disadvantages and can be constructed differently. These are reflected in the designs and ultimately the cost of the labor. 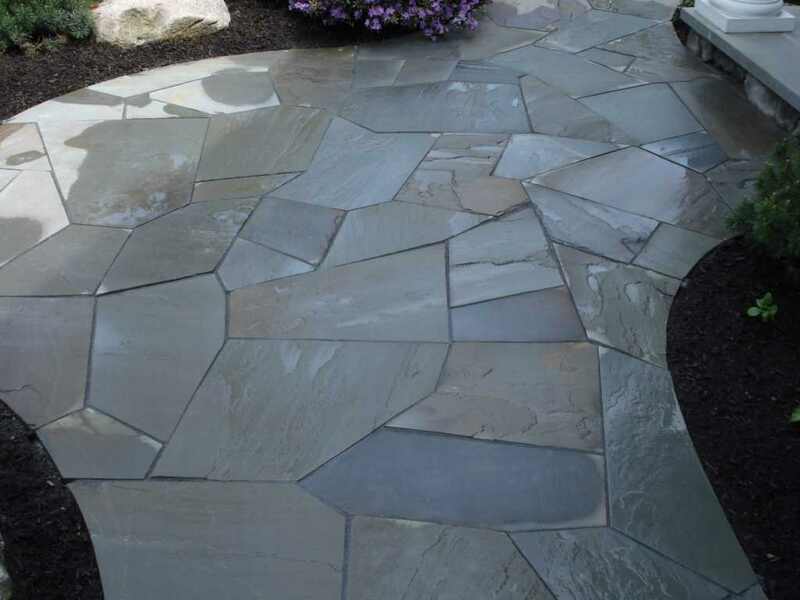 Customers are often unaware that some natural stone products might cost between two and four times more to install than manufactured concrete or clay products available today. That is where my years of experience will help you in best selecting the correct product to use for your property. 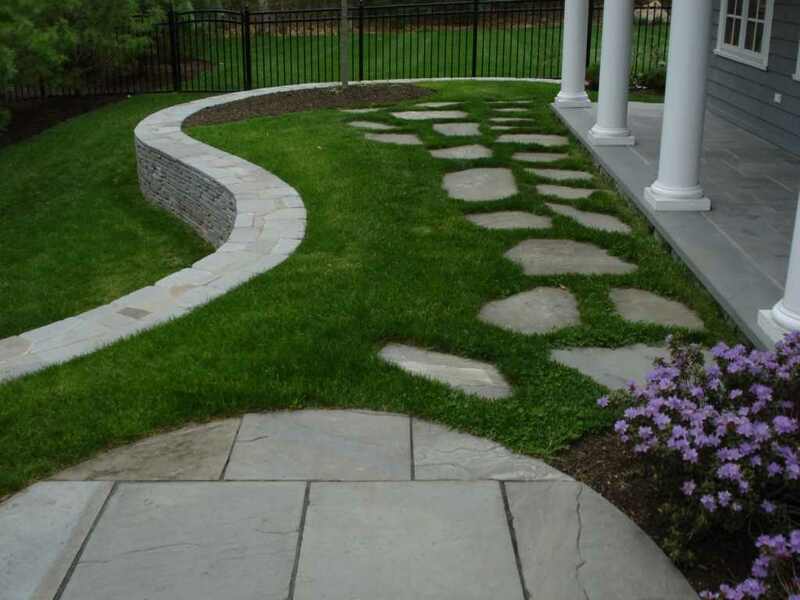 Typically today the two main types of landscaping projects are landscape walkways / patios and retaining walls. A successful landscape installation takes into consideration the customer’s needs and desires, the architect’s ability to properly convey the data provided to a drawing, and my proven ability to correctly select and pick out the best materials available today, all while reinforcing craftsmanship and the need to deliver a quality project.